*OWNERS SUITED* A substantial detached family home, situated in this highly desirable cul-de-sac location offering flexible accommodation that could be arranged to provide an adjoining annex. 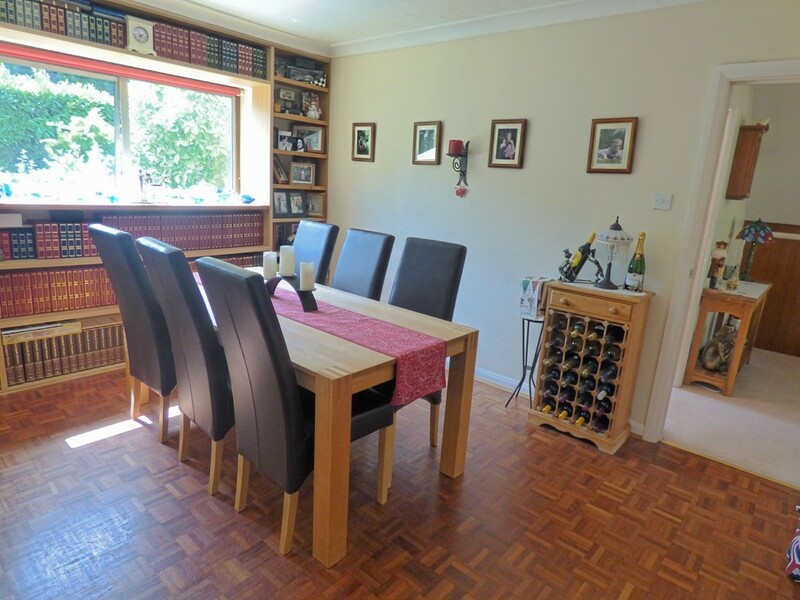 The house is well presented throughout and offers gas fired heating with radiators and double glazing. 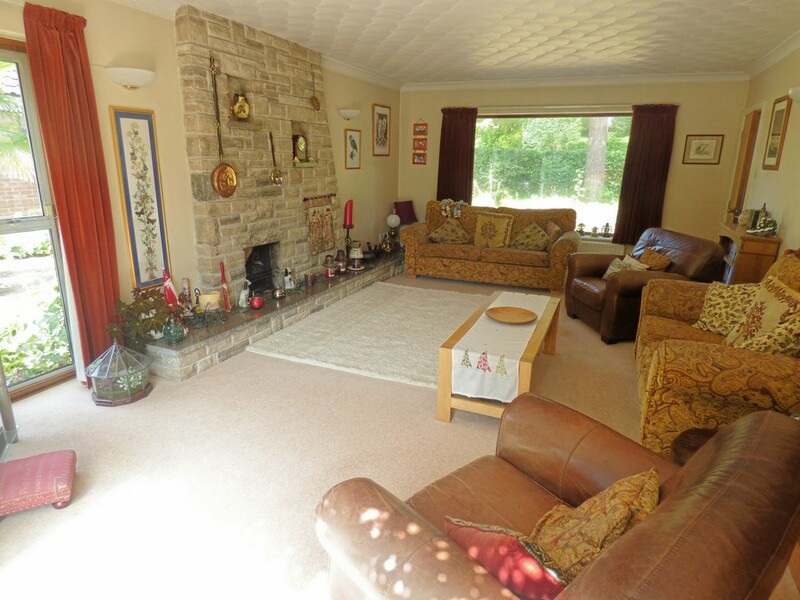 There are four reception rooms and a generous kitchen breakfast room with utility. On the first floor there are five bedrooms, three of the bedrooms being en-suite. 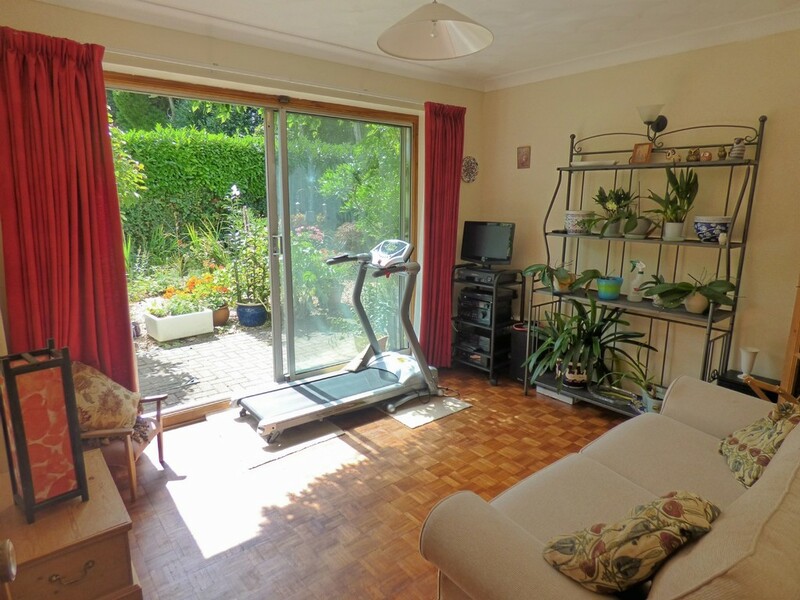 The property is situated on a corner plot and enjoy gardens on all sides. A block paved driveway leads to a large detached double garage with adjoining workshop and subject to the usual planning permissions there is further scope to extend into or over this garage. RECEPTION HALL Radiator, telephone connection, under stairs storage cupboard, wall mounted thermostat control. CLOAKROOM White suite comprising WC and pedestal wash hand basin, window, half tiled walls, ceramic tiled floor, heated towel rail. GARDEN ROOM 14' 2" x 7' 5" (4.32m x 2.26m) Three wall light points, radiator, parquet flooring and patio doors leading to the rear garden. STUDY 9' 11" x 7' 11" (3.02m x 2.41m) Window to front aspect, radiator, telephone connection point, range of built in book shelving. DINING ROOM 13' 6" x 9' 11" (4.11m x 3.02m) Radiator, parquet flooring, window to the rear aspect surrounded by a range of shelving. UTILITY ROOM 10' 0" x 6' 11" (3.05m x 2.11m) Single bowl, single drainer sink unit with centre mixer tap with space and plumbing for automatic washing machine, tumble dryer, base storage cupboard, space for a refrigerator, built in storage cupboard, wall mounted units and wall mounted Glow worm boiler serving the heating and hot water supply, ceramic tiled floor, window and UPVC door leading to the rear garden. KITCHEN/BREAKFAST ROOM 18' 6" x 16' 1" (5.64m x 4.9m) Range of units comprising one and a half bowl single drainer sink unit with centre mixer tap adjacent granite work surfaces with a extensive range of drawers and base drawers and cupboards below, integrated dish washer, integrated BOSCH oven with cupboard and oven below, four ring induction hob with granite splash back and extractor canopy over with range of shelving with under lighting, In the breakfast area there is ample space for dining table and chairs, radiator, telephone connection point, TV aerial connection, range of built in units, kitchen/breakfast room has smooth coved plastered ceiling, inset down lighting and windows to the front and rear aspect and a second staircase leading to the first floor. MAIN STAIRCASE With half landing leads from the reception floor to the first floor landing with inset down lighting with radiator, window to the front aspect, double airing cupboard housing the pre insulated hot water cylinder with fitted immersion and slatted shelving. A loft hatch with sliding ladder provides access to the roof space. BEDROOM ONE 14' 11" x 12 plus fitted wardrobes' 0" (4.55m x 3.66m) Window to the front aspect, radiator and telephone connection point. Running across the full width of the room is a range of floor to ceiling wardrobe units. A mock chimney breast with raised hearth and display mantle and to the side shelving and base storage cupboards. EN SUITE BATHROOM Comprising a panel enclosed bath, low flush WC, wash hand basin with drawers and cabinets below, window to the rear aspect, partly tiled walls, ceramic tiled floor and radiator. EN SUITE SHOWER ROOM Shower cubicle, WC pedestal wash hand basin, coved smooth set ceiling with down lighting, fully tiled walls, radiator, wall mounted light incorporating electric shaver point, ceramic tiled floor. EN SUITE SHOWER ROOM Fully tiled shower cubicle, with wall mounted shower controls and shower head, shower jets, WC contemporary inset wash hand basin with centre mixer tap, storage cabinets and shelving, coved smooth plastered ceiling with inset down lighting with fully tiled walls, heated towel rails, ceramic tiled floor and window. BEDROOM FOUR 10' 1" x 9' 11" (3.07m x 3.02m) Radiator, window to the rear aspect. BEDROOM FIVE/FIRST FLOOR STUDY 14' 2" x 7' 5" (4.32m x 2.26m) Coved smooth plastered ceiling, radiator, window over looking the rear garden, built in desk top. BATHROOM Corner bath with centre mixer tap, WC, pedestal wash hand basin, fully tiled shower cubicle, coved smooth plastered ceiling with inset down lighting and extractor fan, fully tiled walls, ceramic tiled floor, chrome heated towel rail and wall light, window to the front aspect. DOUBLE GARAGE 24' 2" x 20' 4" (7.37m x 6.2m) The large garage is fitted with an electric operated up and over door, has power and light, window and a connecting door to a block built work shop (19' 4" x 7'.11") with power and light, window to the rear aspect, UPVC double glazed door to the back garden. OUTSIDE REAR There is a block paved patio with raised planters and outside lighting, this in turn extends to an area of lawn and a gravel area punctuated by planting. Purbeck stone crazy paving patio area with summer house, this continues to the right hand side of the property where there is a palm tree and an octagonal timber green house, wrought iron gate with archway and trellis fencing returns to the front of the property.